Very friendly and great explainer, highly recommended. Dr. Eric J. Kezirian is an international leader in the surgical treatment of snoring and obstructive sleep apnea. He is a Past President of the International Surgical Sleep Society, the world’s premiere organization dedicated to sleep surgery. Dr. Kezirian uses the latest research, including his own, to provide each patient with the most appropriate, effective treatment plan. His research has addressed the most important questions in the field, including how surgeons should choose procedures, how well surgery works, and the development of new treatments. Dr. Kezirian’s research has been supported by the National Institutes of Health, the American Academy of Otolaryngology - Head and Neck Surgery, the American Academy of Sleep Medicine, and the Triological Society. 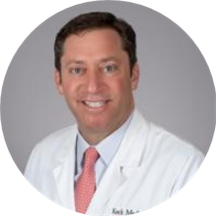 More information regarding Dr. Kezirian and his approach to surgery for snoring and obstructive sleep apnea can be found at ent.keckmedicine.org. Dr. Kezirian has been an extraordinary doctor from my first visit through the last. He patiently answered my every question after examing me thoroughly both in office and then with a sleep induced endoscopy. He thouroughly explained my optionsafterwards and continued to listen and explain both before and after my surgeries. I would recommend him highly to anyone suffering from sleep apnea.